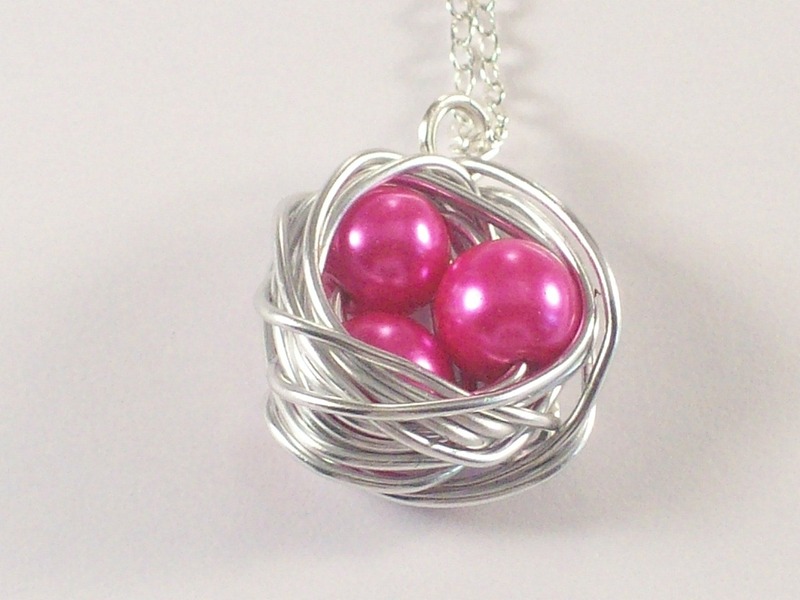 Thought I'd do a short and sweet blog today and show you all the bird's nest necklace that I have made. 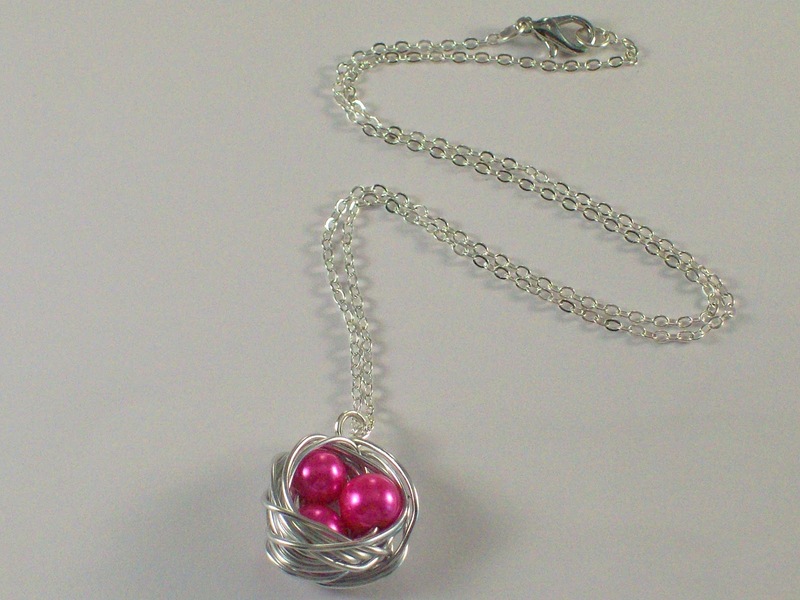 I love wire work jewellery and I'd seen several of these necklaces around. 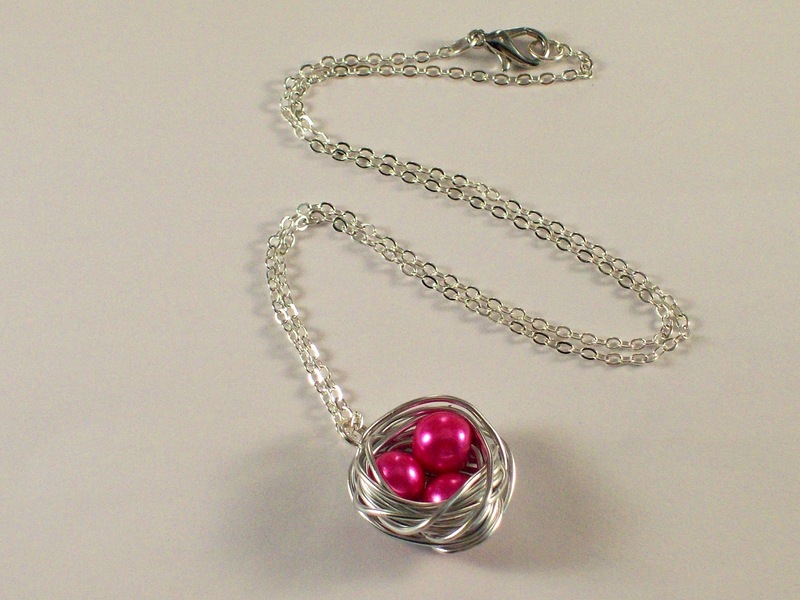 I had some left over hot pink coloured 8 mm glass pearl beads, in my spare bead stash, then I picked out some 0.6mm silver plated wire. Threaded on the beads, then twisted the wire around the beads in a circular motion, I continued to do this, until I was happy with the fullness of the wrapping. 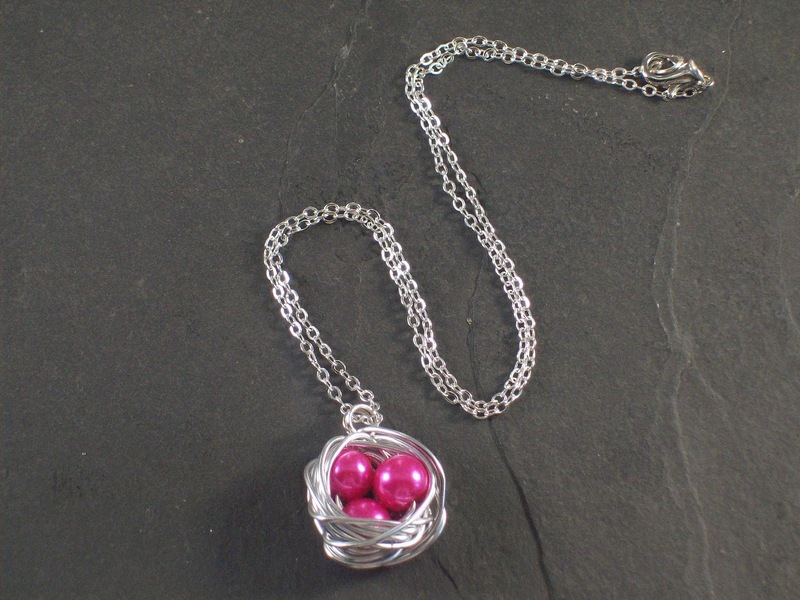 The end of the wire was tucked into the back, 2 jump rings were attached to the top of the wrapped wire, then a silver plated 18 inch chain was added and there you have it, my first bird's nest necklace. Here is a close up of the wrapped beads. Now I'm not sure whether to pop it into one of my shops, or keep it for myself, what do you think? That's lovely Michelle, I'd keep it for myself if I were you. Thank you for your comment, I think I will keep it.